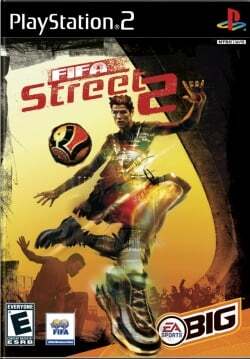 Game description: FIFA Street 2 is second installment in EA's four-on-four soccer game. FIFA Street 2 will feature improved controls, many more tricks, and a new juggle mechanic. Take part in game modes, such as friendly, rule the street, and skills challenge. Choose from 20 national teams and 300-plus real-life soccer stars. There are 10 playable venues ranging from London's Westway Leisure Center to the sandy beaches of Brazil. USA v02.20(10/02/2006), In Hardware mode appear Glitchs in the t shirts of all characters(flecks),but not interfire in the gameplay,in software mode is worst. Glitchs in the t shirts of all characters(flecks) but Frame Buffer Conversation make it much better ,but not interfire in the gameplay,in software mode is perfect but hardware demanding . Workaround: GSdx software mode (F9)is the only known solution but it's slow. Frameskip draw=1/skip=1 helps some times. This page was last edited on 18 June 2018, at 19:28.